Life's going to be like a hurricane in Duckburg all over again. Scrooge McDuck and his less well-off family members are coming back in an all-new cartoon series. 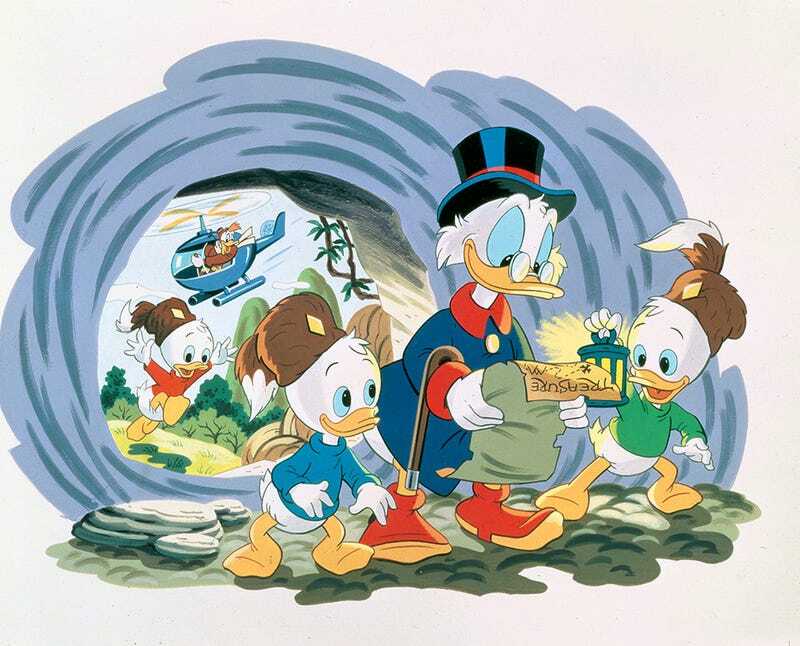 Ducktales—inspired by the brilliant comics work of legendary comics artist Carl Barks—was the source material for one of the most beloved platformers of all time and the enthusiastic response to last year's announcement of Ducktales Remastered might have been one of the things that helped tip the odds in favor of a new cartoon show. But, the odds on this show not being a CGI production? Probably not good. It's too soon to say if any new games will come as a result but Disney sure does love its merch.